28 years skating experience. 12 years of coaching at the Kent Valley Ice Centre. 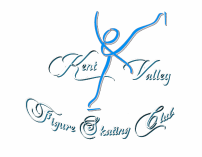 Specialize in Freestyle, Pairs, Choreography, jumps, Spins, Lifts & adult skating. Member USFS, ISI and PSA. CER A certified and background checked. Competed all over the USA as well as Canada Sectionals gold and silver Medalist. Trained under National and International Coaches. Coach of a regionals gold and bronze medalist. ISU world masters elite bronze medalist. Adult Sectionals two time silver medalist and two time gold medalist. National showcase two time silver medalist. Take skaters of non qualifying and qualifying levels to regionals and adult sectionals every year. Bachelors degree in graphic design from Cornish College of the Arts and certificate in viticulture from WSU.